DML - Digital Media and Learning is part of the Connected Learning Alliance, and is a great place to make connections and stay current. Read this DML Central blog post written by Henry Jenkins and watch the embedded videos. We'll return to the Ontario Language Arts Curriculum guide to the Media Literacy strand for Grade 3. Select ONE overall and ONE specific expectations found there and consider these in terms of a digital storytelling project as a culminating task. Select ONE overall and ONE specific expectation from another curriculum guide for a different subject/content area. How do these expectations merge together to create cross curricular connections? How can digital storytelling be applied to tasks to meet these learning outcomes? Let's begin planning a lesson toward meeting these expectations. At each table or group, work collaboratively on THIS LESSON PLANNING TEMPLATE to craft a lesson for a Grade 3 class. Be prepared to share and discuss your thinking. Take a look at lesson plans for media literacy found on the Media Smarts website for Ontario teachers. Use the search parameters to find a plan for a lesson to teach Grade 3. Select ANY curricular area and open the lesson plan for your selection. You'll work collaboratively to adapt this lesson plan to fit the lesson plan template. Fill in the plan to make it work for the required lesson planning format. Be prepared to share and discuss your thinking. 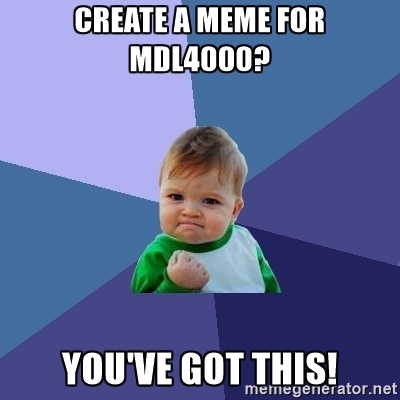 From lesson planning to tinkering with MEME generators - let's have some fun with media making! You can make a meme about lesson planning, media literacy, digital literacy or any other topic we've covered so far in this course. Review the course website to allow your connected mind to build new links to topics that interest you or caught your attention. Take some time to be creative as you make this media. Remember to consider the media triangle - audience, text and production. Consider sharing your meme using your blog, as a new post, and/or Twitter. You can use Google Drawing but make sure your image is licensed for remix and attributed on your final meme. You can use Pixabay or Unsplash as a source for copyright free images. You can use a meme generator where a bank of common meme images can be found. IMGFLIP is one generator that does not require an account to make a meme. 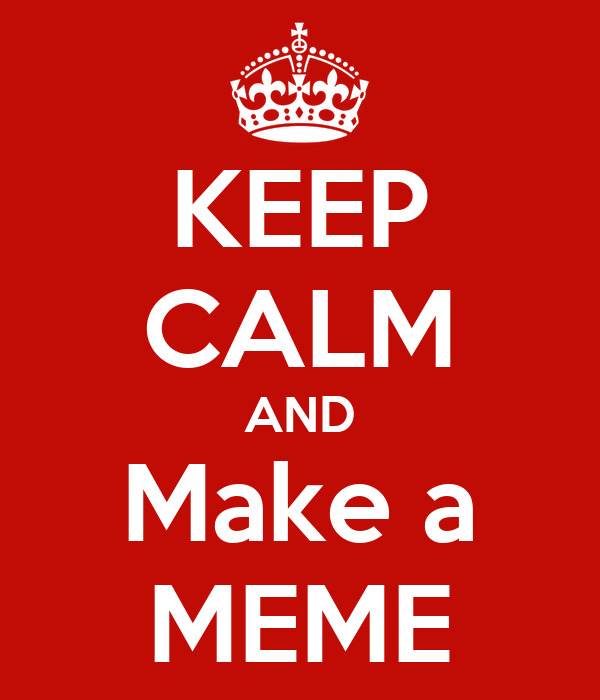 The Keep Calm meme generator also does not require an account to create this form of meme. Take a screen shot or screen capture your completed meme to use as a jpeg or png file. Consider the issues and concerns with each meme creation tool for this type of media production task in the classroom. How could I apply media in my lesson planning? Why is this important? 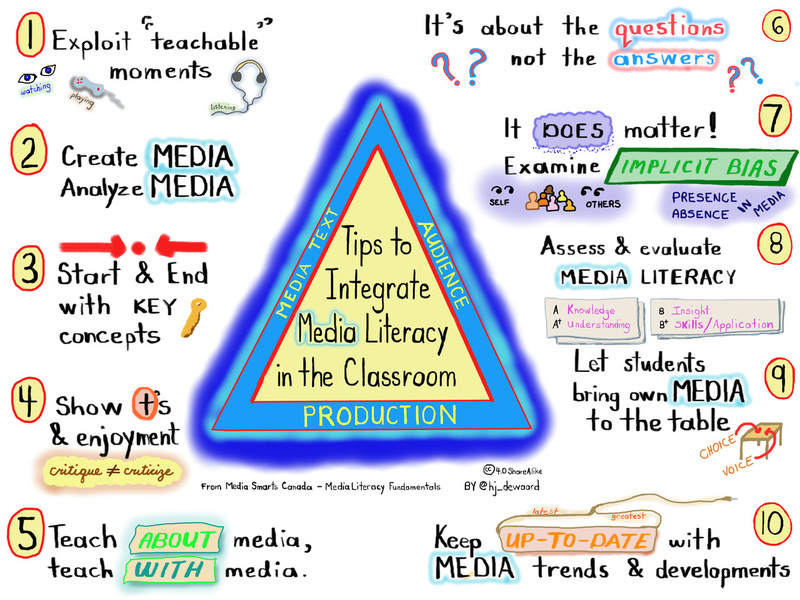 How might media production help me apply digital storytelling in the classroom? Where will I find 'affinity groups' to support my learning in the use of digital tools in my teaching practice? ​Images carry meaning, photographs share moments in time, and graphics can tell a story. We'll explore the world of images as they impact story. We'll examine techniques to enhance and apply images to the digital storytelling process. Bring a camera or smartphone that allows for creation/production of digital images. Please collect one or two digital images that you can bring to class for some 'in-class' explorations. Bring a mobile device capable of capturing images, or a digital camera to class on Thursday next week. There are cameras available at both the HP library and the OA library for your use. 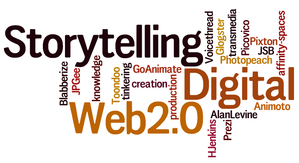 Alan Levine created a resource wiki outlining the qualities and characteristics of over 50 Web 2.0 tools applied to digital storytelling. Titled 50 Ways to Tell a Story, the simple story of Domino, a lost dog, is told using a variety of Web 2.0 tools. Rather than explore all of the listed resources, focus on ONE of the following as a potential tool for your next Sandbox Activity tool. Animoto - a FREE education account is available for you. Information will be emailed and posted. Powtoon - https://www.powtoon.com/ - you will receive access to an educational account if you would prefer not to sign up.